Credit Unions For Kids Wine Auction has raised over $1 million for the third consecutive year. 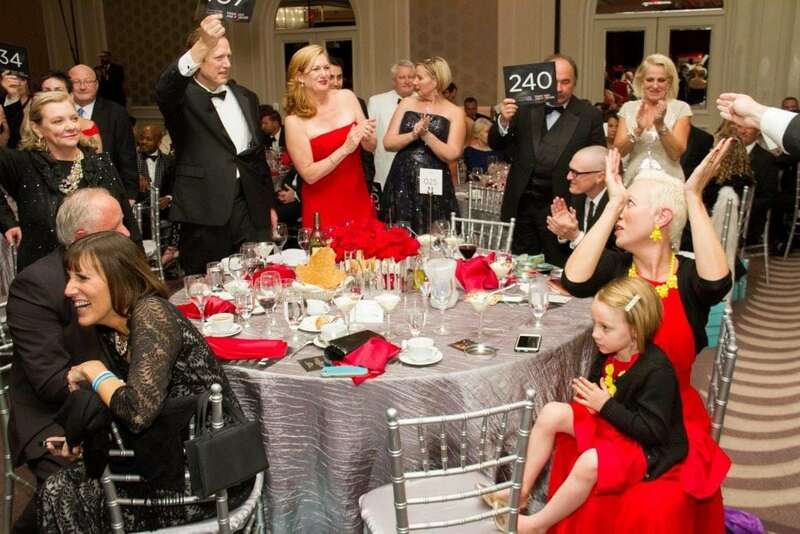 The annual gala event has raised over $6 million since 2006 for the eleven CMN Hospitals in California and Nevada. The evening’s highlight was very special guest, 11 year old Jadyn Skorpanich, a CMN Hospital patient at Rady’s Children’s Hospital San Diego. Jadyn’s energetic personality, and her story, inspired attendees, as she shared how her experience at Rady has changed her life. The Wine Auction also included a vehicle raffle, which raised over $75,000 for CMN Hospitals, with the winner having the choice of a new car or new Harley Davidson motorcycle, each valued at $20,000, or $20,000 in cash. The raffle was sponsored by CU Direct, with CO-OP Financial Services matching ticket sales up to $25,000. The raffle’s winner, Yvette Llamas, supervisor of loan servicing at SAFE Credit Union, opted for the cash prize. The lead Corporate Sponsors of this year’s event were CU Direct, the California and Nevada Credit Union Leagues, CO-OP Financial Services, and CUNA Mutual Group.